The Great Hall of the Royal Hospital Chelsea was designed by Sir Christopher Wren, the building was completed in 1692. 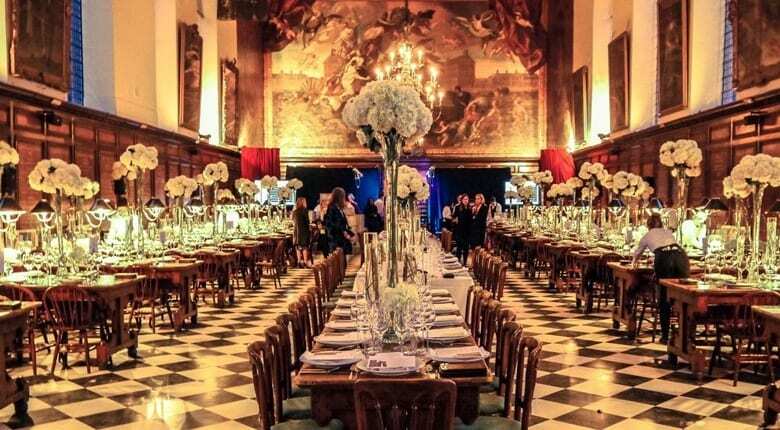 It was an honour to work here for a private function attended by business people and royalty with the goal of fundraising for a charitable cause. Our main priorities were to ensure the AV equipment provided had no impact on the integrity of the building. Whilst also maintaining low noise levels for the consideration of the Chelsea pensioners living there. The event was an outstanding success we were thanked for our professionalism and attention to detail.